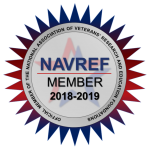 Foundation for Atlanta Veterans Education and Research offers an attractive benefits package to our employees. Specific information on the Foundation’s healthcare plan, dental and vision plans, and retirement savings is below. The plan summaries are available via https://workforcenow.adp.com > Benefits > Plan Details. Contact FAVER Human Resources for questions. If you need assistance with your Medical, Dental, Vision and/or Life Benefits or have questions regarding an Explanation of Benefits, a bill you received or for any benefit or coverage issues and concerns, please call your Employee Advocate, Traci Blake, at 1-888-517-3659 or email TBlake@CBIZMBS.com for personalized service. Our group health insurance policy is provided by Kaiser Permanente. FAVER offers two medical plans; an HMO (Plan One) and a Multi-Choice (Plan Two) are outlined below. If you are a full-time employee (30 hours or more per week) and are enrolled in the HMO plan, the health insurance premium is paid by the Foundation. If you are a full-time employee (30 hours or more per week) and are enrolled in the Multi-Choice plan, the biweekly health insurance premium is $35.92. If you are a part-time employee and working at least 20 hours per week, you are eligible to enroll in the plan, however, you will be responsible for a portion of the monthly premium depending on the number of hours you work per week (example: 20 hours/week, you pay 50%, 24 hours/week, you pay 40%). Kaiser HMO: You can choose to see a Kaiser doctor, located within the Kaiser healthcare facility, or a Kaiser affiliate located within his/her own private practice. There is no annual deductible for this plan. Refer to the plan summary for details. Please visit the Kaiser Permanente Physician Directory to search for doctors covered under this tier of the plan. You can choose to see a Kaiser doctor, located within the Kaiser healthcare facility, or a Kaiser affiliate located within his/her own private practice. Refer to the plan summary for details. Please visit the Kaiser Permanente Physician Directory to search for doctors covered under this tier of the plan. Choose the ‘Added Choice’ plan. You can choose to see a Preferred Provider; there are over 7,000 physicians in our area. Refer to the plan summary for details. The Physician Directory for doctors covered under this tier of the plan can be accessed at http://www.phcs.com. Please be sure to confirm your provider’s participation in the PHCS Network prior to receiving services. You can choose to go out of network completely. Refer to the plan summary for details. Our group dental insurance plan is provided by United Concordia (UCCI). If you are a full-time employee (30 hours or more per week), the monthly dental insurance premium is paid by the Foundation. The Dental Provider Directory for dentists covered under this plan can be accessed at http://www.unitedconcordia.com. Please be sure to confirm your provider’s participation in UCCI’s network prior to receiving services. Refer to the plan summary for details. Our group vision insurance plan is provided by Superior Vision. If you are a full time employee (30 hours or more per week), the monthly vision insurance is paid by the Foundation. The Vision Provider Directory for ophthalmologists and optometrists covered under this plan can be accessed at http://www.superiorvision.com. Please be sure to confirm your provider’s participation in Superior’s network prior to receiving services. Refer to the plan summary for details. A 403(b) is a tax deferred retirement plan available to employees of educational institutions and certain non-profit organizations as determined by section 501(c)(3) of the Internal Revenue Code. Contributions and investment earnings in a 403(b) grow tax deferred until withdrawal (assumed to be retirement), at which time they are taxed as ordinary income. All full and part-time employees are eligible for the FAVER 403(b) plan. Employees who have Non-U.S. Citizen or Non-Permanent Resident status are excluded from employer matching. This plan is funded both by your pretax contributions and FAVER’s contributions. All eligible employees can enroll in the 403(b) plan at anytime during employment. There is no waiting period for enrollment. To enroll, contact FAVER Human Resources to request an application package. Does FAVER contribute to my retirement plan(s)? Yes, matching funds will be made by FAVER after 1 year of employment to participating employees. The match is $1 (employee) for $1 (FAVER) for the first 3% of contribution and $1 (employee) for $0.50 (FAVER) for the next 2% contribution. The maximum match of 4% will be made for employees contributing 5% or more. How do I change my contributions? You may change your contribution by submitting a written request to the Foundation’s HR Manager. How much can I contribute to FAVER’s 403(b) retirement plan? If you areage 50 or older at any time during 2018, you may contribute an additional $6,000 for a total maximum of $24,500. The amount that you elect to have deducted for the 403(b) is contributed to the plan before federal and state income taxes are withheld, therefore reducing your taxable income, which may reduce the federal and state income taxes you pay each year. Deductions are subject to FICA. Vesting refers to a participant’s right to receive a present or future retirement benefit. All plan participants are immediately vested in both the employee and employer contributions to the 403(b) retirement plan. Can I request a loan from the retirement plan? No, FAVER does not allow employees to take loans from your 403(b) account. Are there circumstances in which I can withdraw money from the retirement plan without paying a 10% tax penalty? There may be some cases where the 10% early withdrawal penalty does not apply*: You should consult your accountant, tax attorney, or other qualified financial adviser before making a withdrawal from the plan. FAVER does not offer financial advice. Distributions for certain medical expenses may possibly be exempt from the penalty. How do I request a withdrawal from my retirement plan and what are the tax consequences? You may request a withdrawal from your 403(b) retirement plan by contacting FAVER Human Resources. There are some restrictions on when you are eligible to withdraw the contributions that you put into the plan. Please carefully consider all options before you withdrawal money from your retirement plan. Yes, all withdrawals and distributions from the plan are subject to federal and state taxes. You may be subject to a 10% federal tax penalty if you make a withdrawal before age 59 ½. In addition, the federal government requires that 20% of your withdrawal be withheld as a prepayment of your federal income tax due on the taxable portion of the withdrawal. This 20% withholding requirement does not apply to direct rollovers to an IRA or a new employer’s retirement plan. What if I take a leave of absence? If you are on a leave of absence with pay (approved AL or SL), FAVER will continue to make contributions so long as you continue your contributions. If you are on a leave of absence without pay, FAVER will discontinue making contributions and you may not make any contributions to the plan. When I retire or separate from employment with FAVER, what are my options? You can leave the money where it is. You can roll over your investment into an IRA or another employer’s 403(b) plan, 401(k) plan, 401(a) plan or governmental 457 plan. Please contact your future employer to find out if their plan accepts rollovers. FAVER does not restrict the types of distribution options you can choose. The IRS requires that, after a certain point, you begin withdrawals from your 403(b) retirement plan account. Money contributed and growing after 1986 has minimum distributions rules by April 1 of the year following the year in which you attain age 70 & 1/2, or following the year in which you retire, whichever is later. Money contributed and growing before 1986 has minimum distributions rules by April 1 of the year following the year in which you attain age 75, or following the year in which you retire, whichever is later. If you do not take the required minimum distribution, you may be subject to an excise tax as high as 50% on the amount you should have received in addition to your regular taxes. Contact your tax accountant and investment carrier(s) for more information. Who is the contact for the 403(b) retirement plan? FAVER Human Resources provides support to current and former employees participating in the plan. You are solely responsible for making the decisions regarding the investment of your 403(b) account. It is your responsibility to initiate and complete any procedure required by the investment carrier to enroll in or maintain an investment option. It is intended that the plan constitute a plan described in Section 404(c) of the Employee Retirement Income Security Act of 1974 (ERISA) and that the fiduciaries of the plan, including FAVER, shall be relived of liability for any losses which are the direct and necessary result of investment instructions given by you or your beneficiary. Accordingly, you are encouraged to consult an investment or financial adviser before making investment decisions. Beneficiary: The individual, trust or other entity you designate to receive benefits from the plan in the event of your death. 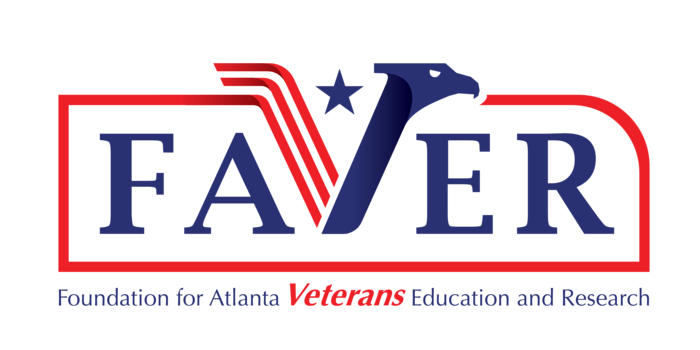 Employer: Foundation for Atlanta Veterans Education and Research, Inc. (FAVER). Investment Carrier: The Company selected by FAVER to provide investment options. Normal Retirement Date: The last day of the month in which you attain age 64. Participant: Every eligible employee enrolled in the plan and every individual who has vested rights to benefits under the plan. Plan Contributions: The money you and FAVER contribute to be invested for the purpose of providing retirement benefits. Prospectus: The official document which describes an investment fund and offers its shares for sale. It contains information required by the Securities and Exchange Commission on such subjects as the fund’s investment objectives and policies, services, investment restrictions, officers and directors, and expenses. The prospectus is a major source of information on the investment(s) of its funds and should be read carefully.